Not all countries are the exact same, and swimming regulations and rules are changing from one country to another. Please check the nearest Indoor Pools in Japan or Contact us to ADD IT. It's free! Thanks to some new Swimming Pools submitted every single day, Swimia.com is growing every day the number of stored pools. Please don't hesitate to make contact with us if you locate any inaccurate or incomplete information. 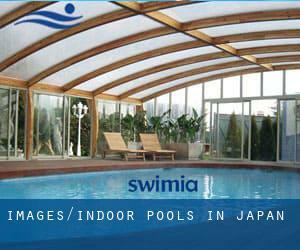 Looking for Indoor Pools in Japan? Many of them belong to gyms or sport centers which also supply lessons. The best pools to swim are certainly indoor olympic pools. Swimming is actually a sport for all ages. It helps young people to tone their muscles and grow healthy and powerful. Let us tell you a secret to switch off whilst you are in Nagoya: just pick a Pool in Nagoya and plunge into the water! There's no more successful method. Without a shadow of a doubt, swimming in Yokohama may be the best way to unwind following perform. 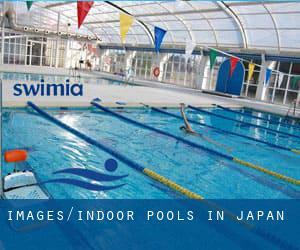 Take a couple of minutes to browse Swimia's catalog to find a Swimming Pool in Yokohama. Updated on 2019 Field Komiya 353 , Akiruno . Among all the activities offered by the center, if you're interested in swimming you will enjoy 25 meters, Indoors. Just in case you desire to get in touch with this Swimming Pool before dropping by, we only know the phone number. Updated on 2019 6-10-3 Roppongi , Minato-ku , Tokyo (Postal Code: 106-0032). Among all the activities supplied by the center, if you are considering swimming you will take pleasure in 20 meters x 7 meters, 3 lanes, Indoors. If you must get in touch with this Swimming Pool, email address and phone number are both number. Updated on 2019 1-17-1 Sendagaya , Shibuya-ku , Tokyo (Postal Code: 151-0051). Swimmers like you have reported Olympic size x 20 meters, 8 lanes, 1.2 meters - 2.2 meters depth, 1.2 meters - 2.2 meters depth, Indoors. Also, you will find 25 meters x 13 meters, 6 lanes, 1.2 meters - 1.4 meters depth, 1.2 meters - 1.4 meters depth, Indoors. Just in case you would like to make contact with this Swimming Pool prior to dropping by, we only know the phone number. Updated on 2019 1-1-1 Nozaki , Mitaka (Postal Code: 181-8555). Among all the activities provided by the center, in case you are enthusiastic about swimming you can enjoy 25 meters x 15 meters, 7 lanes, 1.2 meters - 1.5 meters depth, 1.2 meters - 1.5 meters depth, Indoors. Just in case you need to contact this Swimming Pool before dropping by, we only know the phone number. Updated on 2019 Among all the activities offered by the center, should you be thinking about swimming you can expect to take pleasure in 25 meters, 6 lanes, Indoors. Just in case you need to contact this Swimming Pool before dropping by, we only know the phone number. Updated on 2019 2-10-4 Toranomon , Minato-ku , Tokyo (Postal Code: 105-0001). This sports center delivers 20 meters, 6 lanes, 1.1 meters - 1.2 meters depth, 1.1 meters - 1.2 meters depth, Indoors. For this Swimming Pool, only phone number is number here. Updated on 2019 Nagai Park , 1-1 Nagai Park , Higashi Sumiyoshi-ku , Osaka (Postal Code: 546-0034). Among all the activities offered by the center, if you're considering swimming you may enjoy 25 meters, 8 lanes, Indoors. Just in case you want to make contact with this Swimming Pool just before dropping by, we only know the phone number. Updated on 2019 1-6-1 Tamade Higashi , Nishinari-ku , Osaka (Postal Code: 557-0043). This sports center delivers 25 meters, 8 lanes, Indoors. For this Swimming Pool, only phone number is number here.